Turn back the clock on your skin with Jurlique Herbal Recovery Signature Serum, a potent anti-ageing formula that restores the appearance of youth. A blend of concentrated botanical extracts works to lift, firm and tighten the facial contours whilst smoothing out fine lines and wrinkles for a more defined and sculpted effect. The serum melts into skin effortlessly to replenish vital moisture, helping to unify the skin tone and blurring the look of pores by brightening the complexion. 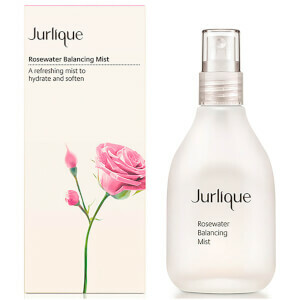 Expect luminous, silky-soft and visibly younger-looking results. Apply 1-2 pumps, morning and evening. Gently press and smooth evenly onto face, neck and décolletage. 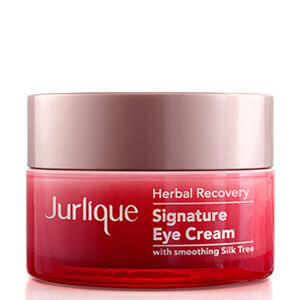 For ultimate results, follow with your preferred Jurlique eye care and moisturiser. Aqua (Water), Propanediol, Citrus Unshiu Peel Extract, Limnanthes Alba (Meadowfoam) Seed Oil, Fagus Sylvatica Bud Extract, Cryptomeria Japonica Bud Extract, Achillea Millefolium Extract, Viola Tricolor Extract, Trifolium Pratense (Clover) Flower Extract, Althaea Officinalis Root Extract, Calendula Officinalis Flower Extract, Lavandula Angustifolia (Lavender) Flower Extract, Rosa Gallica Flower Extract, Xanthan Gum, Sclerotium Gum, Fragrance/Parfum*, Glycerin, Dicaprylyl Ether, Lecithin, Butylene Glycol, Pullulan, Silica, Ethylhexylglycerin, Sodium Benzoate, Phenoxyethanol, Potassium Sorbate, Citric Acid, Limonene*, Linalool*, Geraniol*, Citronellol*. *From Natural Essential Oil.